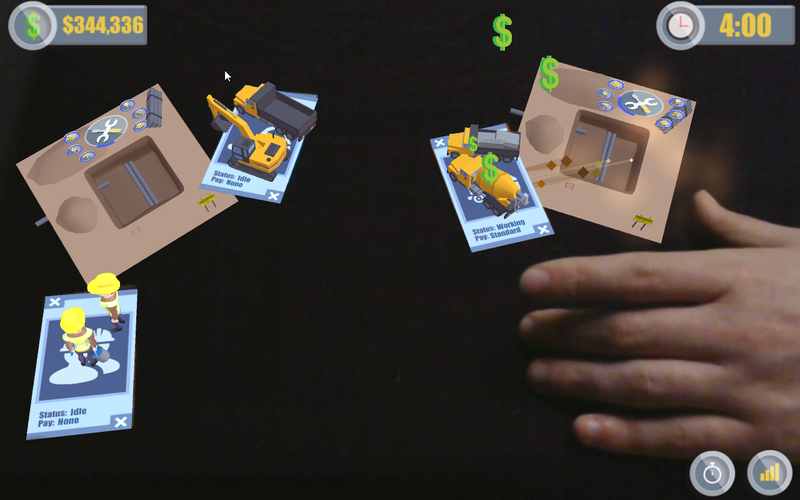 A large construction company approached Designing Digitally, Inc. to create an innovative game for their project managers, many of whom were were struggling to allocate resources appropriately to projects. Their ideal solution was for project managers to play the game during their quarterly training seminar. Designing Digitally, Inc. explored ways to present a computer-based Serious Game. But, the project managers would not have access to computers during the training seminar, and the company did not want to distribute a game outside the structure of the seminar. After much discussion, we all agreed that a phone-based augmented reality game would be an extraordinary platform! 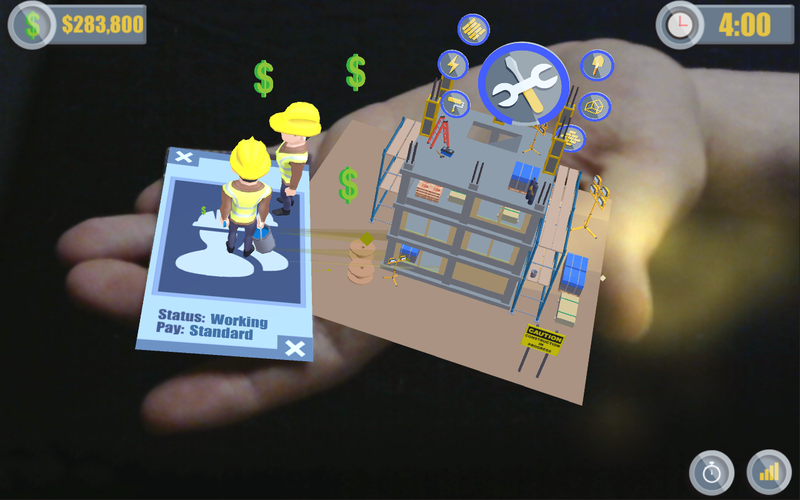 Augmented reality, or AR, uses technology to add graphics, motion, or sound to real-world objects. 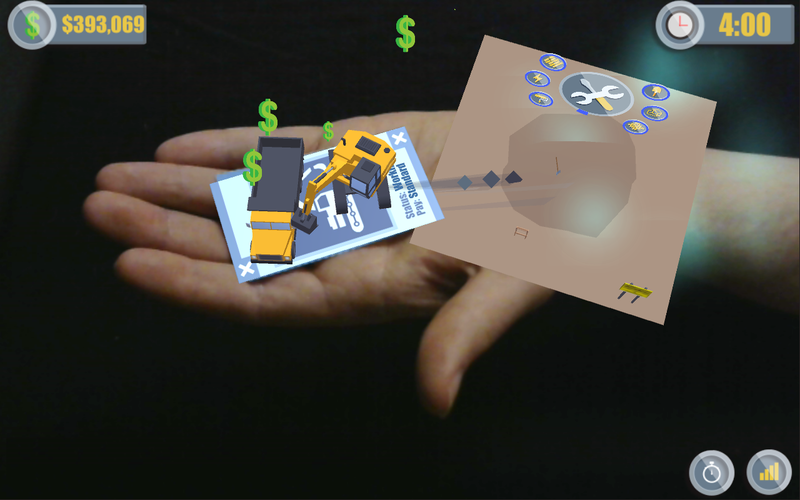 We developed an AR game where project managers can practice assigning equipment, employees, raw materials, and time to the various projects that are running simultaneously. 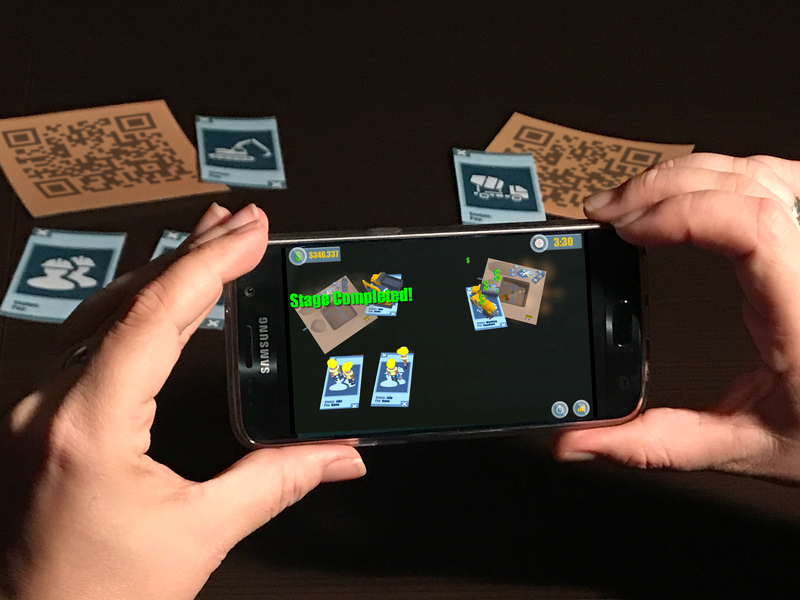 Learners need two items to play the game: a smartphone with the game app and the printed playing cards. Learners distribute their available resource cards to each building site by physically moving the cards on the table. 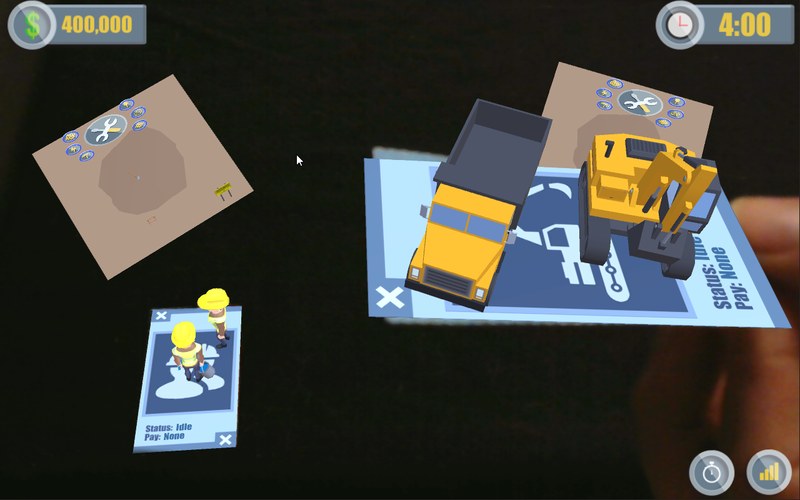 They point their phone’s camera onto the cards and watch the screen as the AR app transforms them into 3D animations! The equipment or people on the cards move and the learner receives points based on how well they allocated their resources. The AR app handles all of the scoring and timing for each round of the game. The training facilitators said the game was a “huge success” in the quarterly training seminar! They felt that the tangible quality of the game fostered more collaboration than a computer-based game would have. In the training evaluation, almost all of the project managers responded that the AR game was memorable and helpful. The company plans to use the game again in next quarter’s training. More importantly, they anticipate seeing an increase in the number of projects the company finishes on or ahead of schedule! For security reasons, please answer this math question in the box below: 9 + 6 = ?